components of living organisms (tissues, enzymes, etc.). hydrocarbons (organic compounds containing carbon, hydrogen). 1. 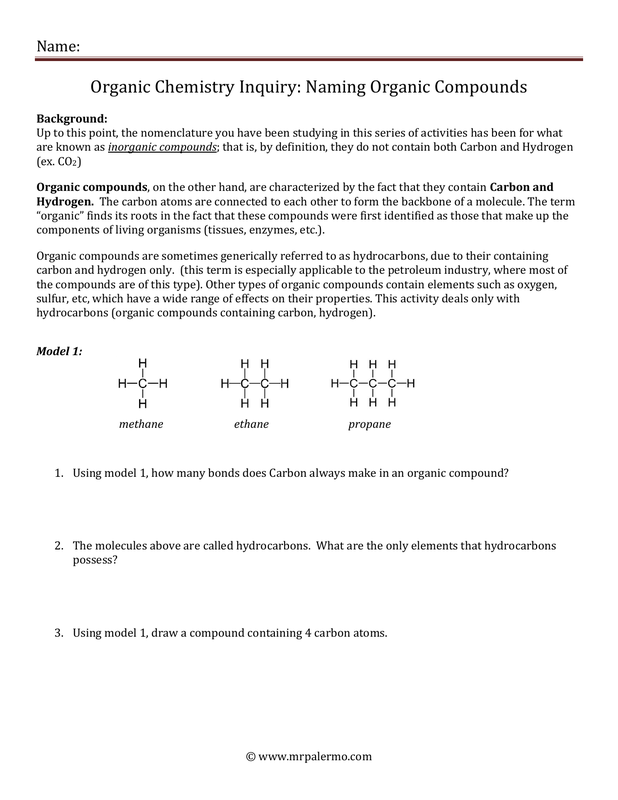 Using model 1, how many bonds does Carbon always make in an organic compound? 3. 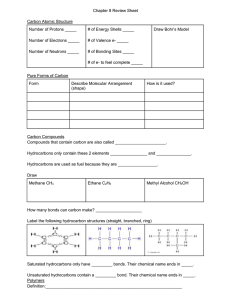 Using model 1, draw a compound containing 4 carbon atoms. 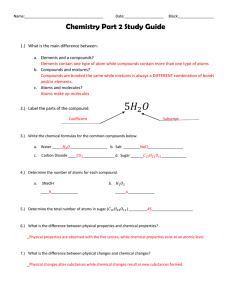 Model 2: This is taken from Table Q in the reference table. 1. 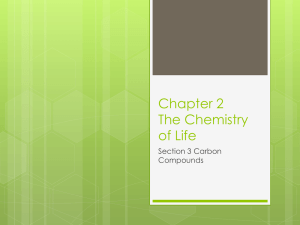 What is the name of the series of saturated hydrocarbons that possess only single bonds? 2. 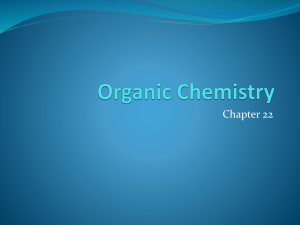 What is the name of the series of unsaturated hydrocarbons that possess 1 double bond? 3. 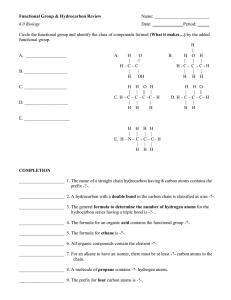 What is the name of the series of unsaturated hydrocarbons that possess 1 triple bond? 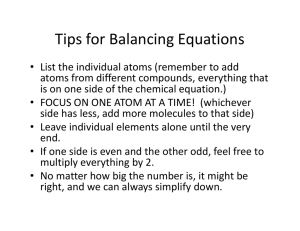 Carbon atoms and only single bonds? Carbon atoms and a double bond? Carbon atoms and a triple bond? 1. 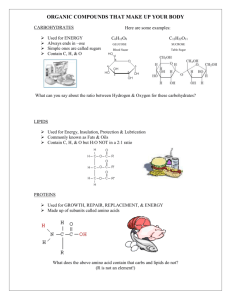 Looking back at model 1, which are all alkanes, what is similar about their names? What is different? 2. Using model 2 and 3, what does the eth- in ethane tell you? is an alkane and which is an alkene? 4. 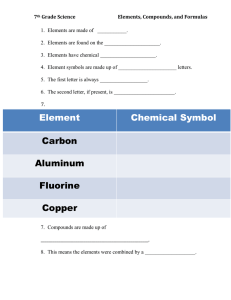 Name the two compounds in question 3.
versus a single or double bond? 3. 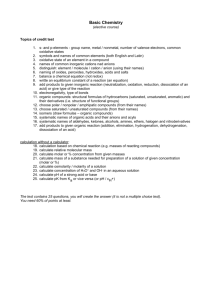 Which compound is an alkyne? 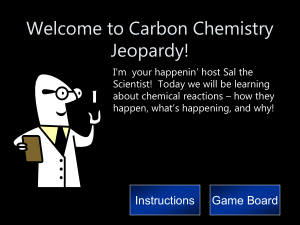 Welcome to Carbon Chemistry Jeopardy!